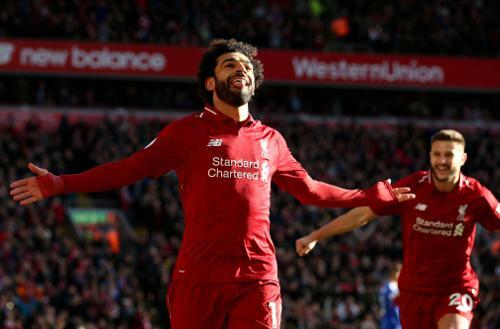 The latest in a long line of records was smashed by Mohamed Salah recently as he became the quickest player in Liverpool history to register 50 goals for the club. The forward’s double against Red Star Belgrade meant he incredibly reached the milestone in just his 65th appearance – 12 games faster than the previous best set by the legendary Albert Stubbins. It was the continuation of the phenom’s remarkable Reds story, which began when he arrived at Melwood from AS Roma in June 2017. Salah, posting an astonishing 44 goals in his maiden season at the club, swept up multiple individual accolades with the same regularity and ease that he brushed aside opposition defences. 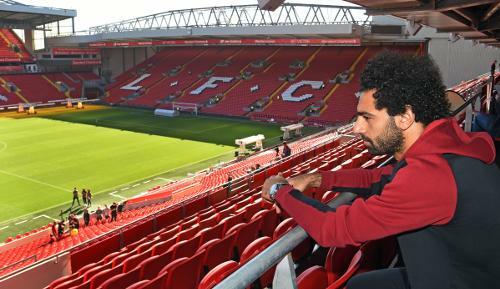 A further seven have been added so far in 2018-19 – and to mark his half-century, the Egyptian King exclusively sat down with Liverpoolfc.com to recall some of the key first moments he’s experienced during his relationship with the Reds. It was a long time ago when I was very young. It’s a big, big, big club and everyone knows it. It’s famous all over the world – and with a lot of supporters in the Middle East, so I think I first heard of Liverpool when I was 10 or 11, something like that. The story of me playing as them on my PlayStation is true; sometimes it was as other teams, but most of the time I was Liverpool. Back then, I could never have imagined I’d be here one day, but it was always a dream of mine and you have to try and follow them. It was when I went to Basel from Egypt, I had a plan in my mind that I would hopefully one day come to Liverpool. There was a chance before, but at the time it didn’t work for both sides. When there was interest again last year, I was very interested in coming to Liverpool straight away in my head, but you also have to see what the plan for you is and how you will fit into it. Here I am now! I still remember it very clearly, it’s a good memory. Walking in through the doors, I remember thinking how much I wanted to be successful here – and how much I believed we could be successful. You know you’re coming to play with great players with a great dressing room, but I wanted to know everything about the club as quickly as possible. It was an exciting feeling, but also a little bit of a nervous one about all the new things… but I survived! I try to enjoy each moment because you never know when they’ll come again – and I was very happy from day one here. After I started playing and scoring, it began to feel like my home here. The media coverage of Liverpool is crazy because it’s a big, big club, so I was reading the news about the transfer in the hotel that night. I was very excited, but in the meantime, I knew there was some pressure and the people wanted me to succeed. I said to myself I would play my football and do what I normally do on the pitch. It was on the first day of my pre-season. I had three weeks off after I signed and then I came to Melwood. I didn’t meet all the players together, but I met some of them and we started pre-season and other players came back over the next few days. There is healthy competition here because everyone wants to play – and the mentality here is to win, so everyone is fighting for his position and I remember feeling that. Now I have known my teammates for more than a year; we know each other well and they know what I like, what I hate. That doesn’t happen on the first day, it takes time as you talk and enjoy each other’s company to get to how I am feeling now. What I did feel on day one, however, is that all of them are humble, very nice guys. 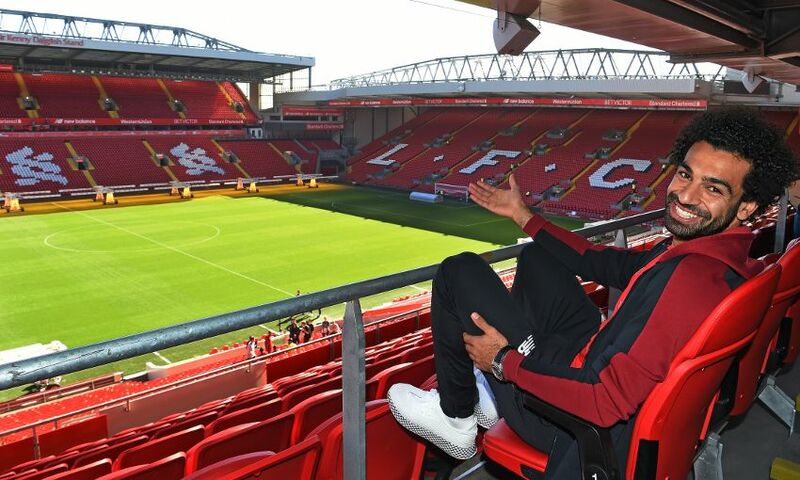 To play at Anfield is different. Always for me - even now - to play at Anfield is something different in terms of your emotions. The fans push you forward a lot and you feel the love from them. My first Premier League game for Liverpool was obviously not at Anfield, it was away at Watford. People were waiting to see how I would do after coming back to England, but the boss told me to just play football. The first half was very difficult! But I just thought ‘carry on’, I played the second half and I scored and won a penalty. To score a goal in your first game is something you always want to do – it’s a good feeling. At Anfield, I came on as a substitute against Crystal Palace, I remember the reception from the fans clapping their hands – a very warm reception which made me feel welcome quickly. It was very nice of the supporters to do that. Now, this is my home. The fans have many songs for me, not just one! The one I like the most is the ‘Egyptian King’ one, though. After 10 or 15 games, I first heard it… I felt amazing. Honestly, the fans singing my name filled me with emotion and when I heard it during the game, it filled me with adrenaline… wow. I had only been here two or three months, yet they already had a special song for me. It’s still the same for me even now when I hear it. I will always remember the day the crowd sang my name when I received the Golden Boot after the Brighton game last season. It was very, very special… but I think I felt more support for my daughter than me when she ran onto the pitch! In fact, it is the only time the fans have ever booed me when I took the ball off her! When my daughter went onto the pitch and I could feel how much love the fans were showing her, it was such a special moment for me and my family. It was a great day, I was very happy to feel the love after an unbelievable season – and to win the Golden Boot ahead of great players made me very happy. I obviously met Dejan when I first started at Melwood and in the second week of pre-season we started to talk a little bit, but we became closer when we went to Dubai on a mid-season break and then Marbella for the first time for a training camp. Now we are always joking together, we’re very close friends now and like to have fun. He is always posting jokes about me on social media, but I like it. In fact, I always tell him I am making him famous in Egypt when he publishes a picture with me in it. He is a great guy. It was the second or third day of pre-season. They are very kind, very nice people. They’ve been at the club for a long time and they help everyone out - I love them! They’re very funny, although I admit sometimes I don’t always understand their English! In general, I do understand the local accent much better now. I have to say, the only one I can’t ever understand is Robbo. When he is talking I tell him, ‘Can you go slower? Relax and talk to me in an easy way because I can’t understand anything!’ He’s obviously always happy to repeat what he’s just said to me!